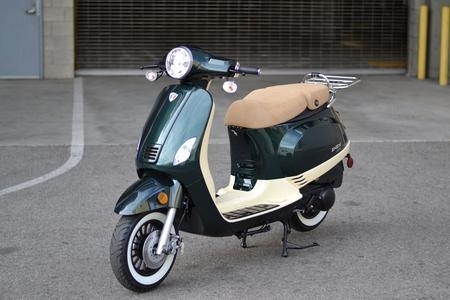 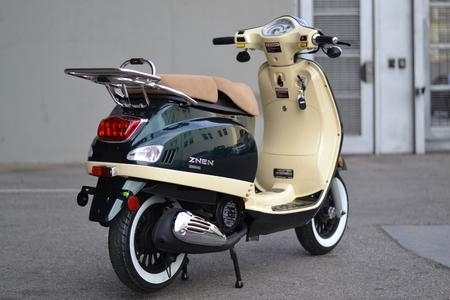 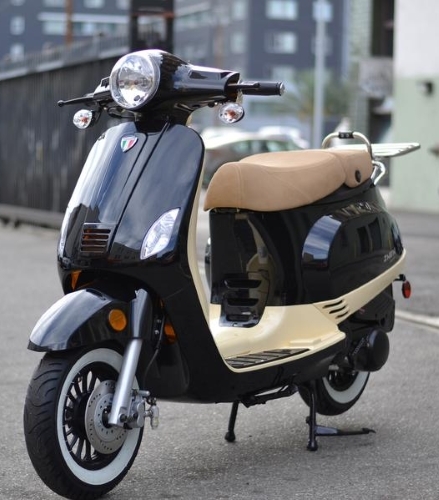 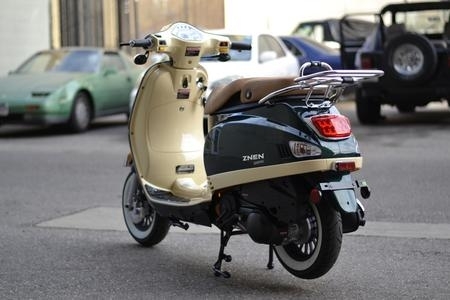 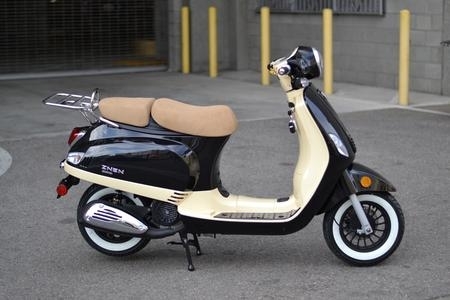 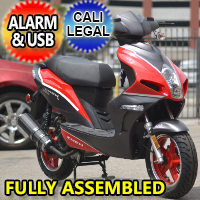 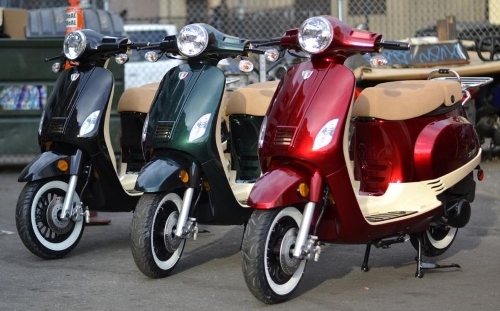 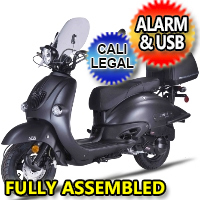 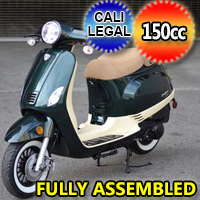 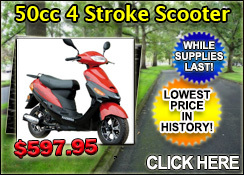 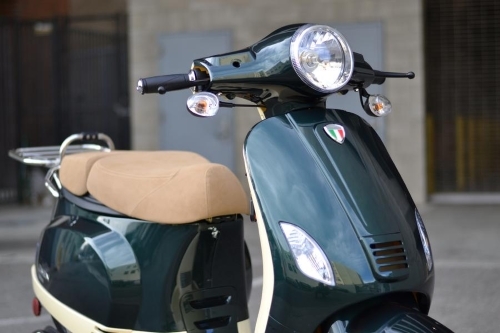 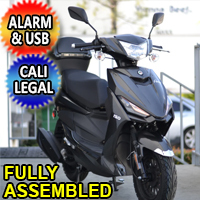 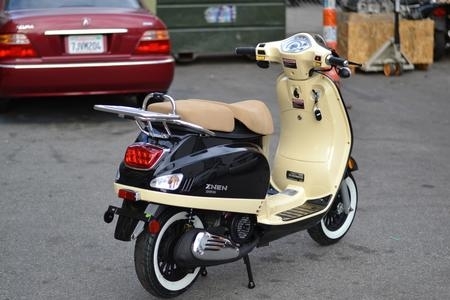 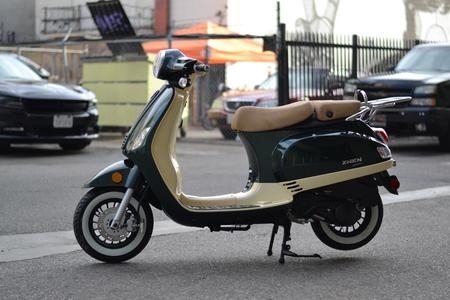 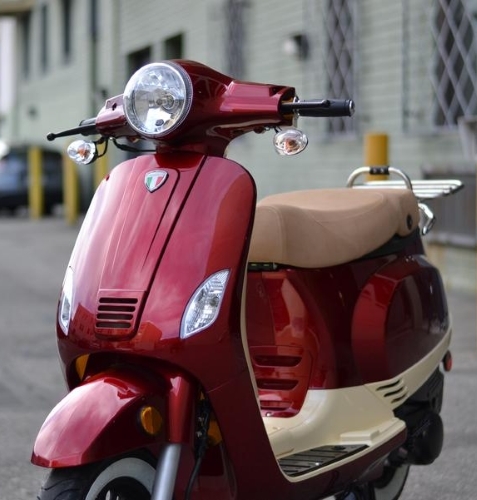 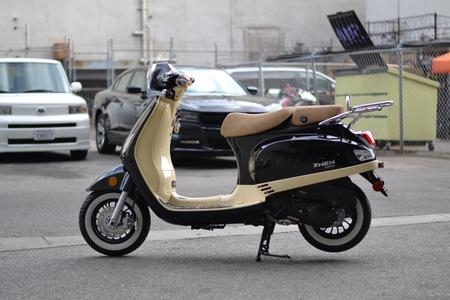 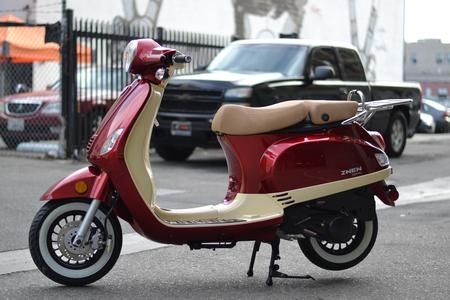 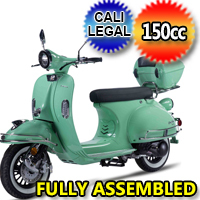 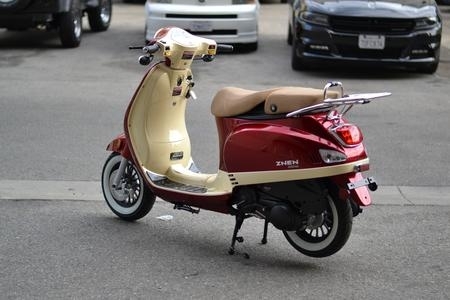 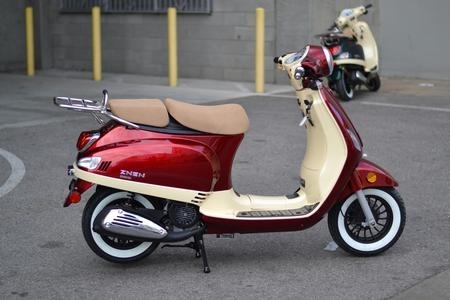 The Znen 150cc 2 Tone 4 Stroke Gas Moped Scooter features a Fully Automatic CVT Belt Drive 4 stroke with 8.5 HP engine, Electric and Kick Start, Hydraulic Front & Rear Drum Brakes, Great On Gas and so much more! 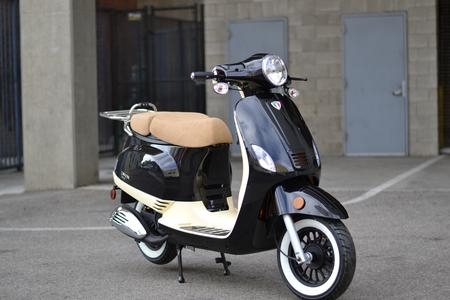 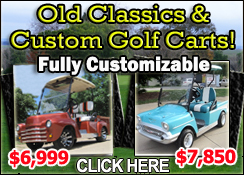 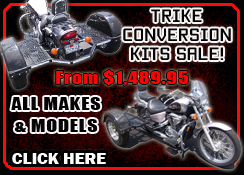 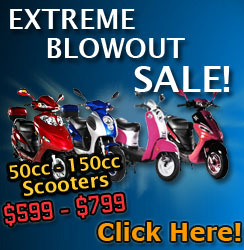 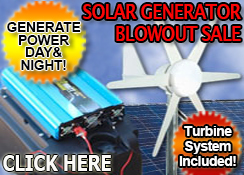 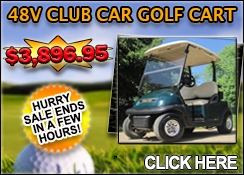 Wheels - Front 10" / Rear 10"
Tires - Front 3.50 x 10" / Rear 3.50 x 10"
Fuel Economy - Up To 80 mpg! 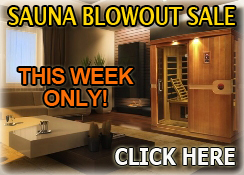 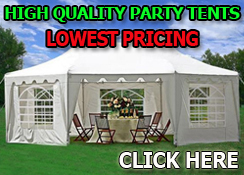 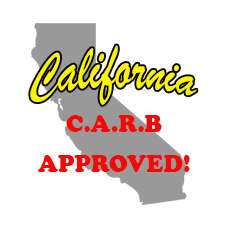 Dimensions - Length 70" , Width 25" , Height 43"